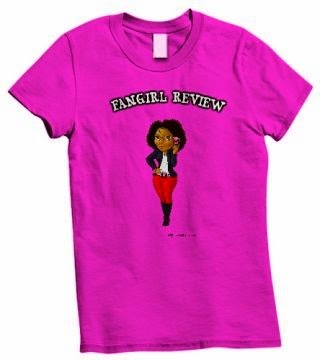 Fangirl Review: Z-Nation: Season 1 on DVD Now! Z-Nation: Season 1 on DVD Now! The survivors of a deadly epidemic band together to save mankind's last best hope in the hit Syfy series, Z Nation: Season One, coming to DVD on February 10, 2015, from Universal Pictures Home Entertainment. A gritty, tongue-in-cheek take on the post-apocalyptic zombie thriller genre, Z Nation: Season One is an epic adventure that is being described as "Mad Maxmeets The Walking Dead" (Ann Oldenburg, USA Today). 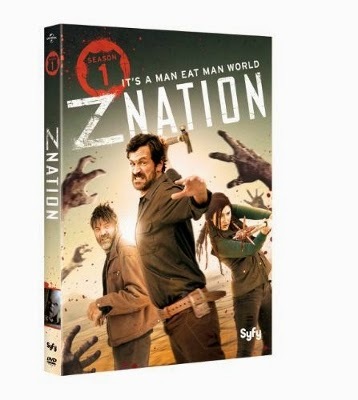 The three-disc set contains all 13 blood-curdling Season One episodes produced by The Asylum, creators of the wildly successful Sharknado movie franchise, and bonus features including a gag reel and featurettes that reveals what it takes to bring the undead world of Z Nation to life. Three years after the devastating ZN1 virus gutted the country, a team of everyday heroes must transport the only known survivor of a zombie attack—and humanity's last hope of developing a vaccine—from New York to California. However, their charge is hiding a secret that could endanger the mission. Z Nation: Season One is a rollercoaster of non-stop thrills, chills and blood-splattering fun. Watch every episode back-to-back and uninterrupted, and join this rag-tag team on an epic road trip across post-apocalyptic America. Z Nation: Season One features an ensemble cast including Tom Everett Scott ("Southland," That Thing You Do), Keith Allan ("Mad Men," Rise of the Zombies), Michael Welch (the Twilight Saga), DJ Qualls ("Supernatural," Hustle and Flow), Anastasia Baranova ("Sons of Anarchy," Rise: Blood Hunter) and Kellita Smith ("The Bernie Mac Show," "The First Family").